As a representative from the 18th congressional district of Illinois, Ray LaHood knew a large number of phone calls his staff received focused on filling potholes. 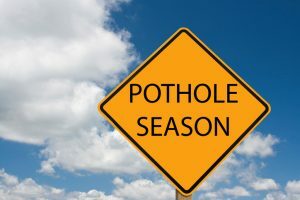 Sixteen years—including a stint as U.S. secretary of transportation under President Obama—later, Secretary LaHood is still lamenting about potholes, both real and metaphorical. The secretary, along with many others, is advocating a significant investment to remedy a plague spreading across local, state, and federal roadways—the demise of America’s infrastructure. Secretary LaHood has stated that the United States is one big pothole that will require significant leadership and resources to stabilize and correct. Maybe the bigger question is whether Congress will even find the time to address this subject in 2017.